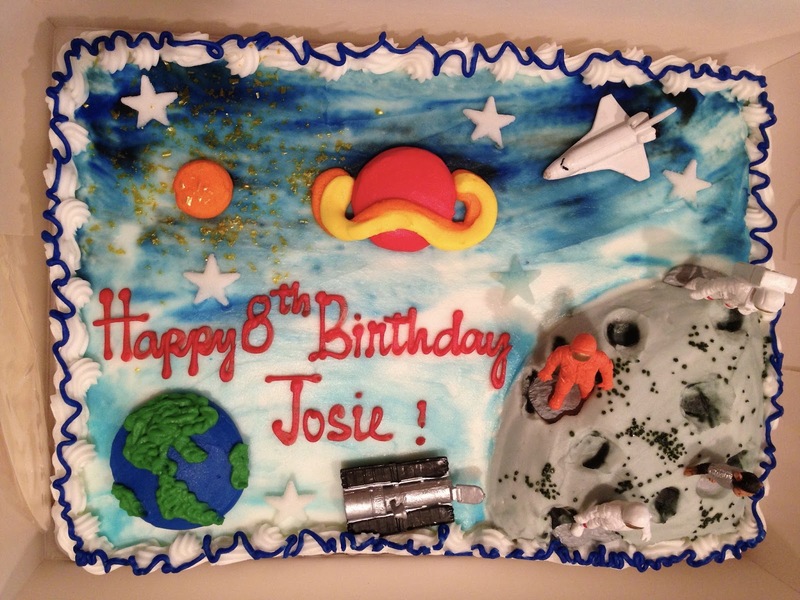 Josie's 8th birthday was definitely symbolic of how much she's grown up and how her interests have continued to evolve and take shape. This year was all Science, Star Wars and Space. We celebrated at home (starting with an epic donut), had a small space sleepover and spent the better part of a week having glow in the dark dance parties. Yay for birthdays!! !